This past year has been hectic, with deadlines for assessments, especially as I studied a WISE subject via San Jose State University. This meant there were no breaks between semesters, and often I was working endlessly to meet assignment deadlines. All I could do was forge ahead and not think about it too much… My only respite, to the assignment madness, were my streetart photographic adventures; shared mostly via Instagram. So… what do you do when your study deadlines slow down and give you some breathing space? Engage your creativity of course, and revisit some past passion. This is just what I did with puppetry. Luckily, Barek an artist from Brisbane announced a competition via Instagram titled #makemeabarek. The competition was run via Facebook and as my account had been inactive for a significant time, I had to reactivate to participate. What was involved was creating a character and including the signature Barek eyes. I have never been able to complete a puppet in such a short time-frame but decided to give it a shot. Working collaboratively, with my partner we lost sleep and kept at it until we realised the day before that we were going to meet the deadline… Yippee! Barek artwork on the way… WOW! Apart from the sheer joy of working on puppets again, I’ve enjoyed dipping my toes into Facebook and finding some of the talented artists I admire there too. I had been somewhat resistant of Facebook for quite some time but not any longer. Following are some photos of the puppet entry. The inspiration for the puppet technique is Japanese Bunraku puppetry, although we have modified the actual technique and the puppet will be operated by two people without the strict adherence to the traditional form. The scenery is inspired by the talented Melbourne based artist Suki. I’ve been fascinated with photography since a very young child. My father was an avid photographer with a darkroom set up at home where he would develop photographs and experiment continuously. It’s no surprise that I developed the passion for photography and this later translated to teaching photography in a highschool a few years ago. As the school had a darkroom set up, it enabled the opportunity for many students to benefit from the learning process. From making pinhole cameras, creating sunprints and moving through the history towards a final assessment of planning, shooting and developing photo essays to be exhibited at school, the students discovered their own passion for photography. I even found that once engaged in the analog/chemical process, students preferred it to digital photography. leaving memory lane aside, I am now finding my passion for photography as relevant in my current studies. For the next couple of months I am studying Photographic Preservation via San Jose State University, as part of the WISE program offered by my home university. As a consequence, my posts for the next couple of months will most likely be centred on all things photography. To kick start, this post will provide a brief history of photography. You can view a timeline of photographic processes from the Graphic Atlas of the Image Permanence Institute (highly recommended!). As a devoted Mac user, I just accepted the Safari web browser that is standard and happily browsed the internet with this. There was much I loved about the user interface, including the graphic interface where sites can be bookmarked in topsites and you can click on them to be taken to the website. I loved the visual history you can flick through. 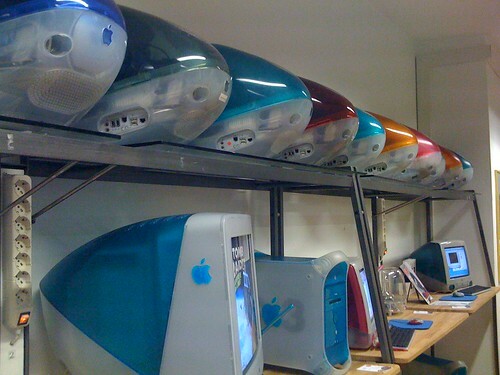 However, I was stuck in Mac-land with my rosy Mac glasses and didn’t venture beyond this space. I even secretly enjoyed the Mac vs PC ads and couldn’t help but share 15 of them in the clip that follows. Yes! I definitely recall the excitement back then and have never looked back. 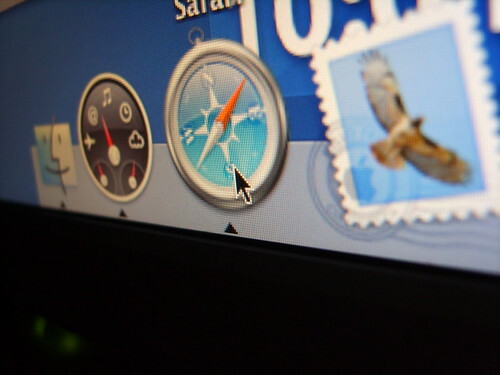 Once I started my studies this year, I realised Safari had limitations so I downloaded and installed Firefox. I was pleasantly surprised that it appeared faster and more stable. I appreciate the tabs across the top and find navigation easy with add-ons enhancing Firefox. For instance Zotero is a great enhancement and time saver with citations and reference lists. Again I was sold. But then I found out about Google Chrome…. so the urge for experimentation began yet again. This time the visual appeal was instant. I was excited about the address bar doubling up as a search bar. More time saving features to love (although, this is possible with Firefox I have since discovered). As another member in our household has an iPad, chrome as a browser seemed to imitate the iPad app features and initially this seemed exciting. Although, I do concede now that maybe it is a bit too gimicky for me…. Google Chrome has proven a very effective web browser for my parents who have a limited background in computer use. Setting it up for them with their favourite sites bookmarked has enabled them to participate very easily. I definitely see this as an advantage for them. After my initial experimentation with Google Chrome, I started wanting to add more search engines as I wanted choice and found Google chrome restrictive in this way. Maybe the link to Google as a corporate entity contributes to this restriction due to the desire to dominate the market. I went back to Firefox add-ons and tested the ability to add extra search engines and realised it was a great deal easier than chrome. Hence my choice in searching is enhanced… back to Firefox I went! I couldn’t help but spend some some time this weekend playing around with the Opera web browser and setting it up. This is definitely the browser for me providing the greatest flexibility in browsing not to mention speed (we all love our information to arrive as quick as possible after all). I am still experimenting with the various Opera add-ons and the extensions including the various widgets I have already installed. Already, I found many features I love. As a browser web accessibility has been paid the best attention to, of all the browsers I have experimented with and this is part of the reason I love it so much. I also love the Opera Portal and how easy it is to place my RSS feeds in one spot where I can visit with a click from my Speed dial which is similar to topsites from Safari but better. I really need to have a good look at the browser tips to really get a feel for the capabilities when time permits. It is worth having a test of the different browsers and finding what works for you. It can be a very individual preference after all. 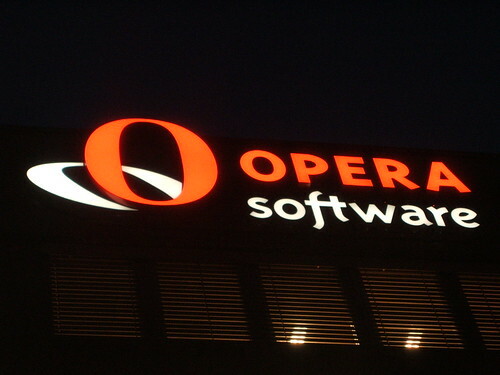 Following is a video about Opera Software the history. The final video is the browser showdown. Who wins? My previous post looked at some of the negative impacts of budgetary constraints and the choice by one institution to cut staff while implementing Library automation systems. The following video provides the positive impact of library automation. Automate the library ~ cut some jobs? I woke this morning to the following headline Students protest at library staff cuts in The Age. It appears that Melbourne University Library is moving towards more automated services and one of their spokespeople has been quoted as stating ”The proposed staffing restructure reflects the changes in library use that automation and digitisation have produced in research-intensive, comprehensive universities around the world,”. Furthermore, the article quotes “there had been a 45 per cent drop in ”across-counter loans” between 2008 and 2010, meaning ”staff need to shift from routine processing and lending activities to supporting students seeking help with research tasks and complex database access”. However, the staff are not being shifted to these areas of need, they are in fact being cut altogether. With automation, as is the case in other industries, the people directly affected tend to be the lower skilled workers and in the case of Melbourne University libraries it is the library assistants and casuals that make up the count of about 30 positions to be cut. However, even if they employ 4.5 higher qualified staff, the question remains will this be enough to service the growing trend of library usage as indicated in other library service areas such as public libraries? Beyond this, why not transfer and retrain the library assistant positions to a similar classification as an Electronic Resources Assistant if this is the area of increased service need? The following job advert for an Electronic Resources Assistant gives an indication of what the job entails. Will the Melbourne University Library skimp in this area of service also? While they point to a 45 % drop in across the counter loans, this may not be reflective as a statistic of library use overall. Many other library groups are reporting increased library use, as the following fact sheet from the ALA indicates and The Library Council of NSW (2009) points out in The bookend scenarios: alternative futures for the Public Library Network in NSW, that there has been a “rapid growth in library usage in NSW over the past 5 years.” Visiting the City Library for the past two weeks has corroborated this trend and the Sate Library of Victoria always seems a hive a activity at any time I visit. We are definitely experiencing lean times economically and decisions such as the cuts to library services and staff are just another indicator of the mentality that cutting costs appears to be the solution. Well really?… Clearly this just leads to a loss or inadequate provision of essential services. Is this what we really want in the Information Age? The following video is an interview with Marshall Breeding on Library Automation. TWIL #43: Marshall Breeding (Library Automation) from Jaap van de Geer on Vimeo. The article by Marshall Breeding Automation Marketplace 2011: The New Frontier from Library Journal provides further information specific to library automation. I keep coming back to the concept of the ‘filter bubble’ or Web 3.0/semantic web. There is no doubt that finding ways to access data and information smarter is a goal of most. We all love efficiency. Furthermore, having an ability to sort the minefield of thought/information and knowledge in cyberspace, in an effort to access the information you need as quickly as possible, is something to strive for. The following youtube clip stresses aspects about the positive elements of the semantic web. However, as Eli Pariser’s Ted talk ‘beware of filter bubbles’ found in my post More on filter bubbles, highlights, the algorithms that have been developed or are being developed are focused too closely on matching information to what has been mapped based on the history of prior search and click activity. This is clearly where the web starts to narrow over time and you end up being less exposed to wider viewpoints, or diversity of information. This is exactly what I do not want. It clearly takes power and choice away from the individual in making broader and better informed decisions about information. I tend to agree with Pariser in urging the developers, including Google, to extend the algorithms used to account for a diversity of information. Representing many and contrasting viewpoints in an effort to counter this narrowing effect of the individual ‘filter bubble’ is hardly something one can argue against. I am always interested in alternatives in search strategies as a way to sidestep the ‘filter bubble’. After all, I still believe humans are more powerful than the machine. The following youtube clip is widely popular with almost 1.5 million hits by the time I have embedded it here. It goes part way to indicating the strength of tagging as a process of sorting the data on the net. The following wikipedia article, Web Search Engine provides another comprehensive list including information on whether the search engine is currently active. For people using Firefox as their web browser, you can go to the search addons site here and peruse over 2000 search engines that can be added to your search tool facility. When you need to search the added search engines are accessed via a pop down menu where you type in the search in the top right hand of the browser. I have found it more difficult to add extra search engines to Chrome and would love to find out how to do this best.